Sandhill Crane A "Crane Pool" at dawn. 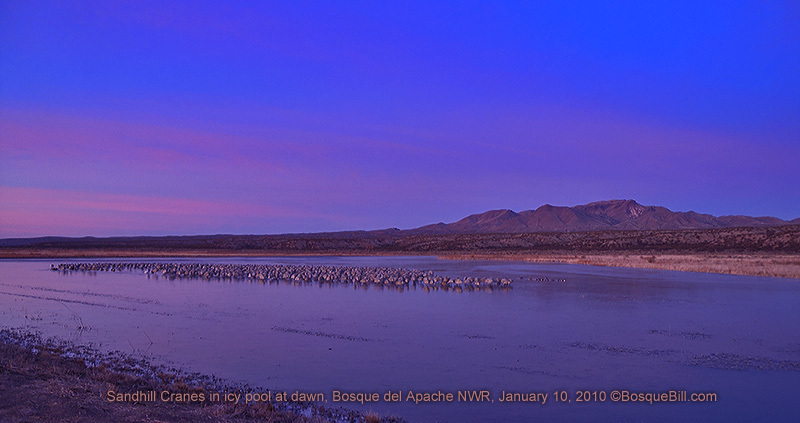 The cranes stand in the icy pond all night as protection from predators, such as the ever present coyote. They occasionally stomp their feet to keep from being frozen in place. It was 8° F this morning.